The California Golf Association (CGA), which consists of the SCGA and Northern California Golf Association, will add the California Women’s Amateur Championship and California Senior Women’s Amateur Championship under its umbrella of championship programming beginning this year. This decision will elevate these two women’s championships, which will now be conducted alongside the other top state championships. 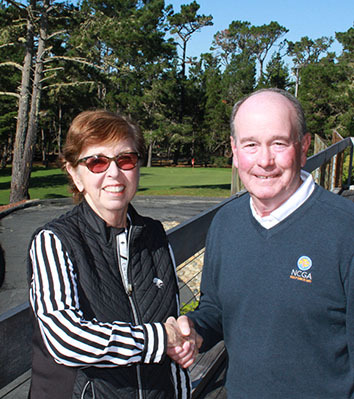 Under the agreement, the California Women’s Amateur and California Senior Women’s Amateur will rotate between North and South championship venues on an annual basis, with the rotation beginning in 2020. In 2019, Quail Lodge R&GC in Carmel Valley will host both events, with the 41st California Senior Women’s Amateur Championship held on May 20-22, and the 53rd California Women’s Amateur Championship on July 16-20. Like with other existing events, the SCGA and NCGA staffs will administer all CGA championships at the direction of its Board of Directors. The CWAC committee will continue to assist in prominent roles at these two championships. Founded by California women’s golf legend and NCGA Hall of Famer Helen Lengfeld, the California Women’s Amateur was first held in 1967. The championship features an illustrious list of past winners including Shelley Hamlin, Patty Sheehan, Juli Inkster and Pat Cornett. The inaugural Senior Women’s Amateur Championship was held in 1979. The CGA was formed in 1912 by the SCGA and NCGA to promote and organize statewide golf championships. The CGA currently operates the annual California Amateur, California Senior Amateur, CIF State Boys’ and Girls’ High School Championships as well as the Seaver Cup, which will now include women.